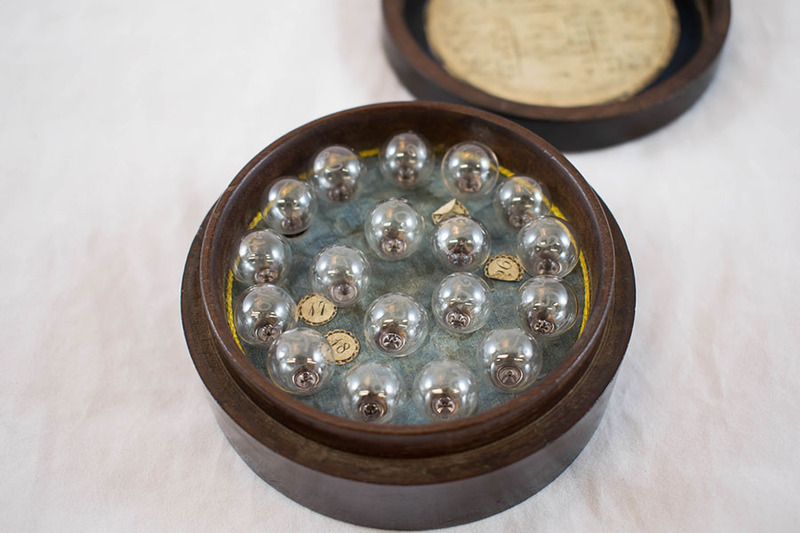 Pictured here is a set of glass bubbles held within a wooden case with an interior green velvet lining. 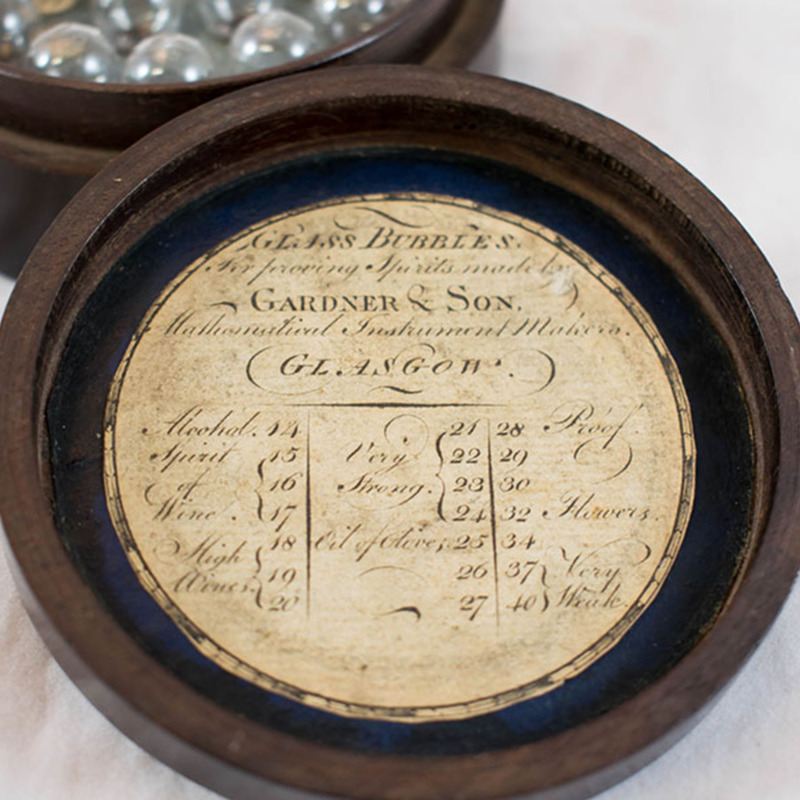 Made by the instrument makers Gardner & Son, these bubbles were used to brew spirits. As seen on the label of the box, the bubbles would have been used to hold spirits of different strengths, from very weak to very strong. 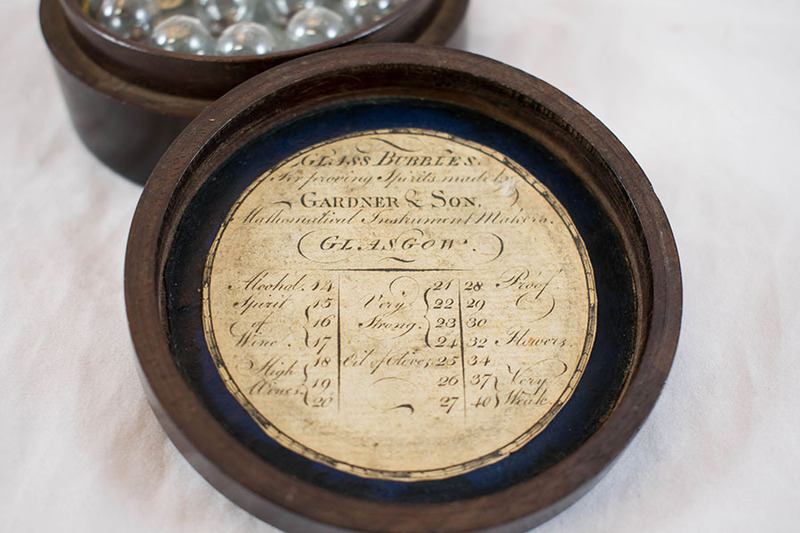 M. Gardner & Son; 1822-1883; Optician and instrument maker, “Set of Glass Bubbles,” Heritage, accessed April 20, 2019, https://heritage.rcpsg.ac.uk/items/show/51. 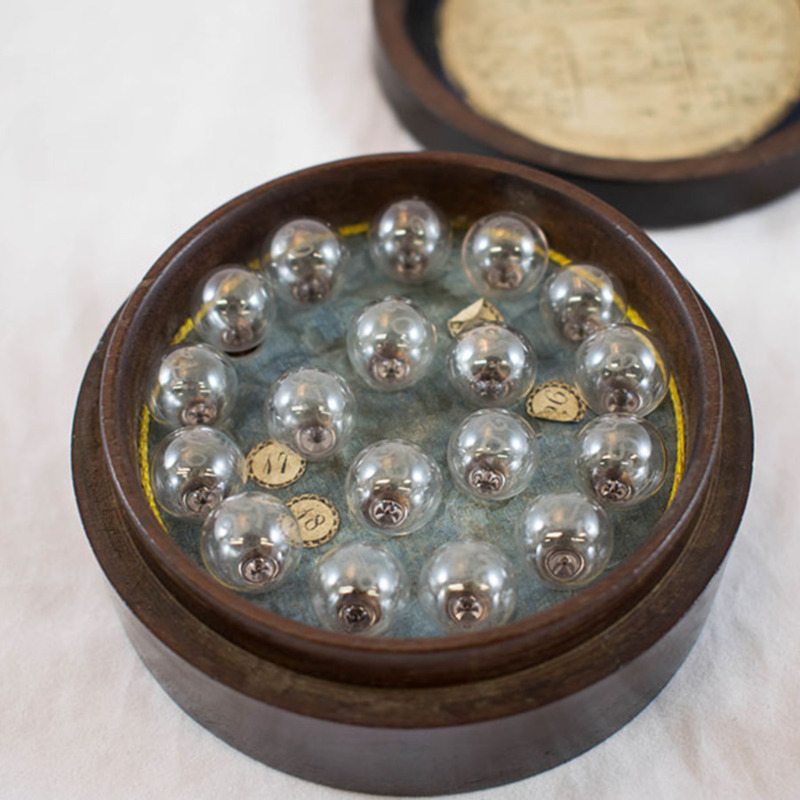 Description: Pictured here is a set of glass bubbles held within a wooden case with an interior green velvet lining. Made by the instrument makers Gardner & Son, these bubbles were used to brew spirits. As seen on the label of the box, the bubbles would have been used to hold spirits of different strengths, from very weak to very strong.